We often think of spiritual "strongholds" as something non-Christians have. But we should also examine our own lives for strongholds. They typically begin in our thoughts. 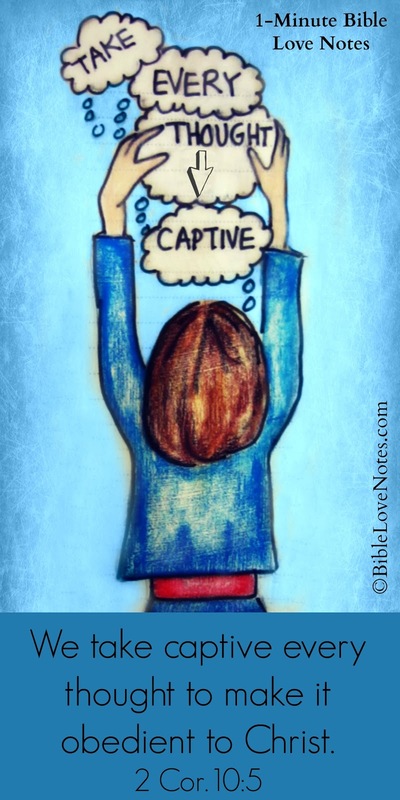 That's why Scripture warns us to take our thoughts captive (2 Corinthians 10:3-5). It might be a relationship problem we bitterly "debate" in our thoughts. It might be an injustice or offense we've obsessively relived in our thoughts, memorizing each detail. It might be an unrealistic fear that haunts us. It might be an ungodly desire we enjoy pondering. Our thoughts create our mood and affect our actions (Luke 6:45). 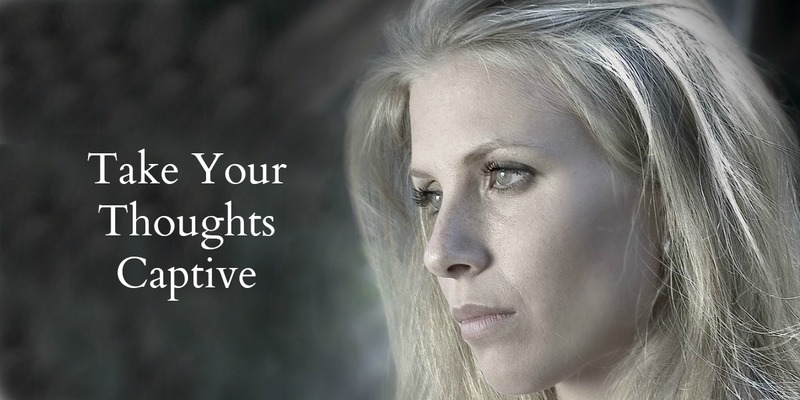 Taking thoughts captive is a primary step in dealing with strongholds. 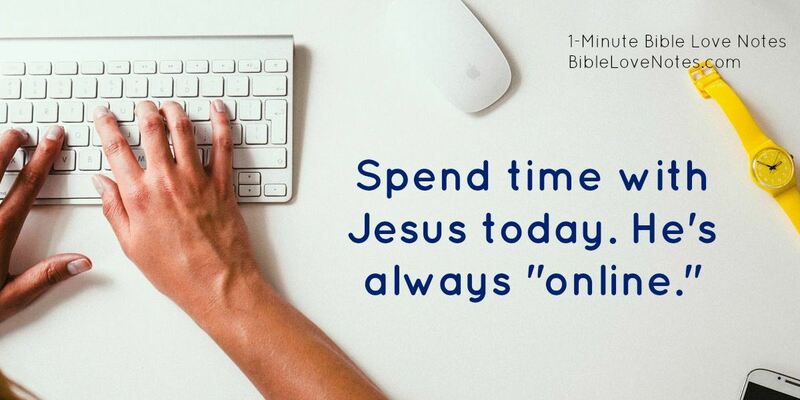 Special offer: Sign up and receive the free e-booklet "10 Days to a More Meaningful Quiet time" - see details on the subscribe page HERE. Thank you for sharing this. God bless you and I pray that this will help strengthen others who are struggling. The biggest part of the battle is in our mind. The word of God is are greatest defense. I'm so grateful for these devotions, I read them almost everyday and I am so encouraged. Thank you for this one - it was right on target for me. I needed the reminder. This is truly the way to go about it! I do find, however, that hormonally driven EMOTIONS seem to override thoughts sometimes and derail them into the darkness. Just got to keep at it and carry on with the Lord. So glad God can help us through it. Witchcraft is the biggest stronghold to confront it may be even the hardest but not impossible. Stop believing in that, that is witchcraft in train your brain, it's like a complete reversal, and the stuff in witchcrAft that you don't know what it is, denounce it am to together Satan would loved to take you deeper into the depths of Satan but dosent tell you that witchcraft brings death they simotainously,and then there's the perception of it the stuff made up from a person's own mental state it will flip you if you don't control it.control how much you hear, and how much you believe before you go over the border line or you'll be a 51/50, God is not coming back for a church in the underground not with spot or wrinkle start taking thoughts captive and tell Satan NO because he's created strongholds inbyoyr mind your mind is not the devels playground. I struggled today looking for the correct word to explain my thoughts and feelings, and the Good Lord Jesus Christ led me to this devotional today. 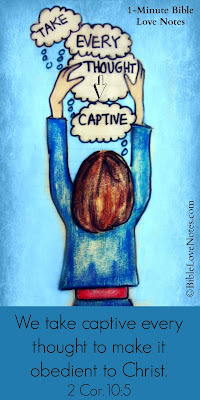 Today i am learning to take every thought captive, well explained to me with scripture. thank you.